If anyone bangs on about intelligent design being the way of the world just ask how the apex of the alleged Deity’s plans, the most intelligent species on the planet can be brought low by something 80-120 nanometers in size. And what part that horrid little virion plays in any vast eternal plan? But that’s enough theodicy for now. So in case you haven’t guessed I’ve had and still have to some extent a version of influenza: could be the deadly Australian or the ever-so-polite Japanese or the entente filled French well whatever it was it was an absolute bugger. The past week has been one long semi-concious blur spent under a duvet surviving on soup, tea and easy-peel satsumas oh and regular doses of Paracetamol. Grrrrrr. The Weekend Reflections are here. I just had a moment’s notice to capture this locomotion. As I’m just old fashioned and a lazy bird I won’t tell which way it’s going. 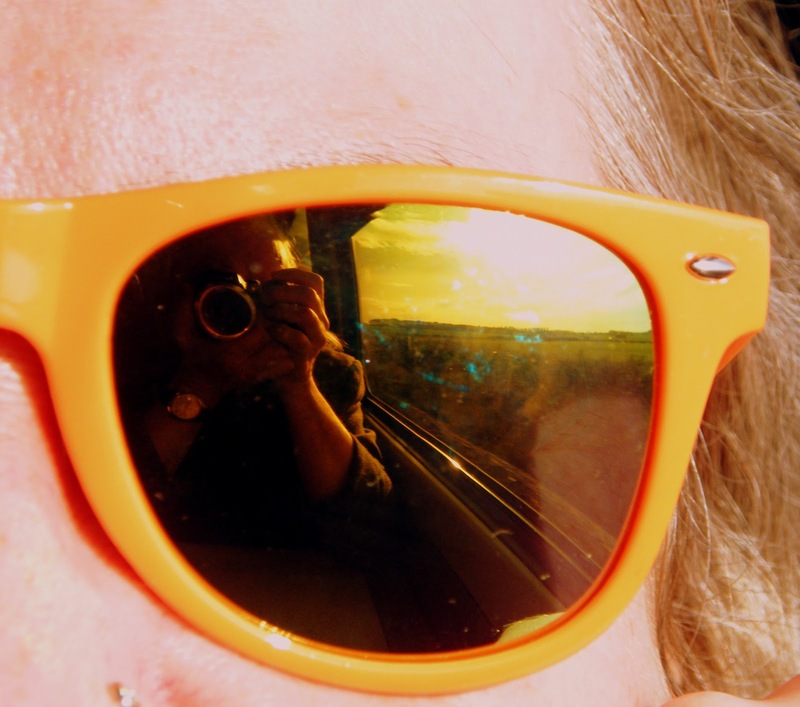 Take silly pictures of yourself and get gawped at by other passengers. This was taken somewhere between here and there, sometime ago by somebody. I happened upon a train having a shower the other day (as you do) and was wondering how I could lever this image into this blog. I need not have worried. Back in the glorious sixties and seventies when motorways were being built up and down and across the country somehow Hull missed out. No three lane transportation route thunders into one of the UK’s largest ports. The M62 would stop many miles west of the city and a two lane dual carriage way was considered sufficient from that point on. Well it wasn’t and it isn’t. And the city and port of Hull is still suffering from that short sighted penny pinching attitude. 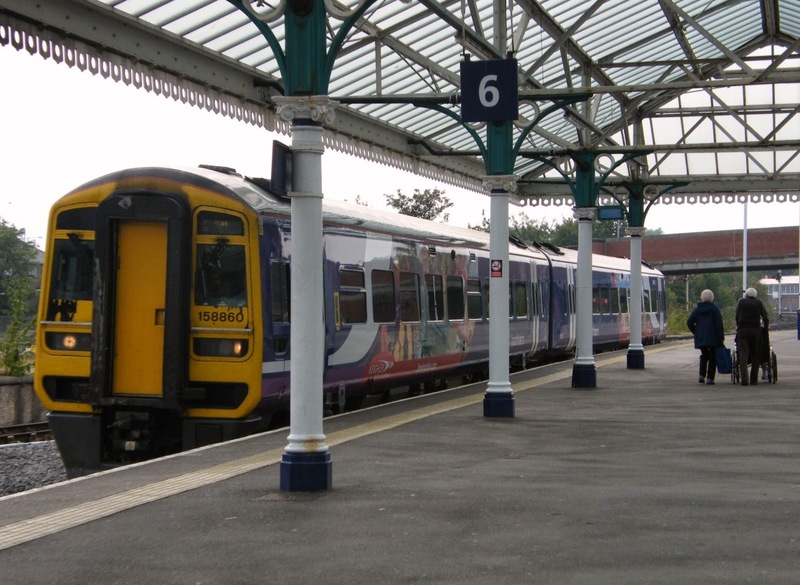 Screech forward to today and the track from Liverpool westward (equivalent to the M62) will be electrified but the Government has decided in its infinite stupidity that the rail line from Hull to Selby will not be electrified. So passengers from London or Liverpool will have to switch trains and go back half a century or more in terms of rail transport. Freight will have to be moved by practically antique, in terms of technology, engines. This is a despicable decision from a Department of Transport that is unfit for purpose, that clearly has nothing but contempt for the city of Hull, that has still not even put in place plans to alleviate the mess it caused back in the seventies. 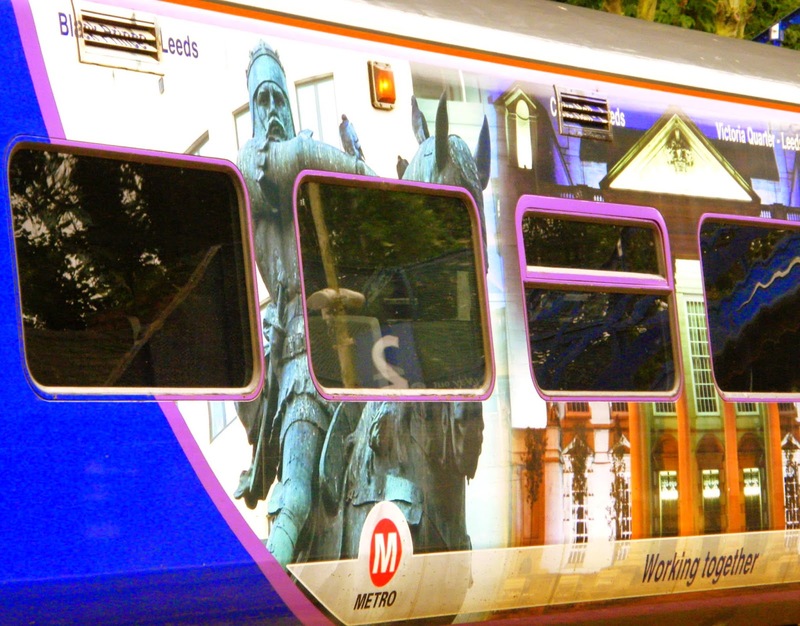 Ah well we are unloved but we have the culture … and the old push-me-pull-you trains will be clean for the next fifty years of service. 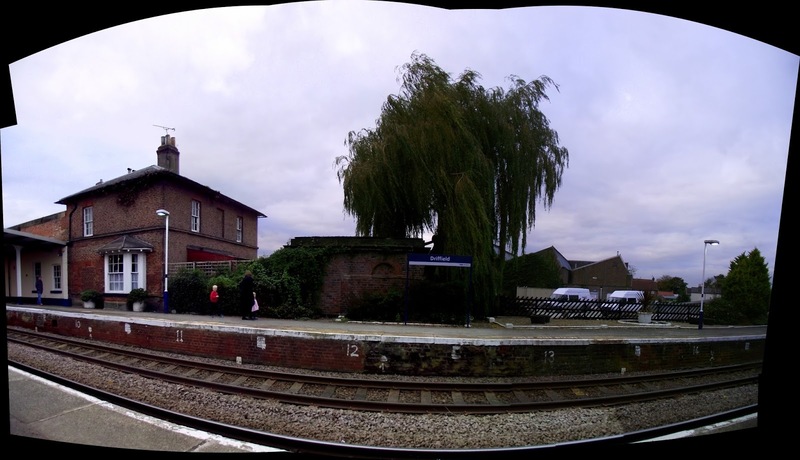 I had a few minutes to sit and ponder on the 169 year old Driffield station and what’s left of its glory. Above is the old stationmaster’s house and the brick stand for a water tank, those white vans are parked in the old coal yards, while behind me the former goods yard is now modern houses. Just up the track to the right there were cattle loading facilities to take beasts to west Yorkshire from the cattle market in town. 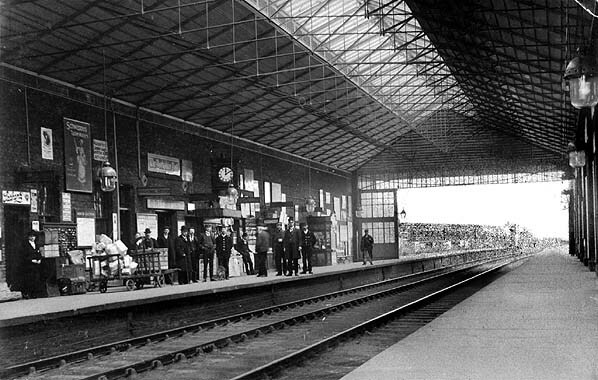 Below is the passenger station which once had a fine roof like Beverley station but now just awnings keep out the rain. Nowadays just four small trains an hour pass through whereas in the 1940’s there were up to 125 train movement in one morning! Well good riddance to all that I say. Coal is a foul stinking fuel, steam engines are inefficient mucky things and the great British railway system was a complete and utter unco-ordinated shambles with hundreds of uneconomic lines running hither and yon. There’s a progress of sorts in all this, canals put out the wagoners, train put out the bargemen and diesel lorries put out the trains. No doubt the lorries and vans will be put out by something as yet unknown (though I don’t see drones taking off, if you pardon the pun). In the UK, unlike just about every other country, the state played no part at all in planning or building the rail infrastructure. The early 19th century saw a mad rail glut as it were, completely bonkers and bound to fail which it duly did along with much criminality and fraud. After the last war rail was nationalised and rationalised and was working pretty well until monetarist ideology sold it off. 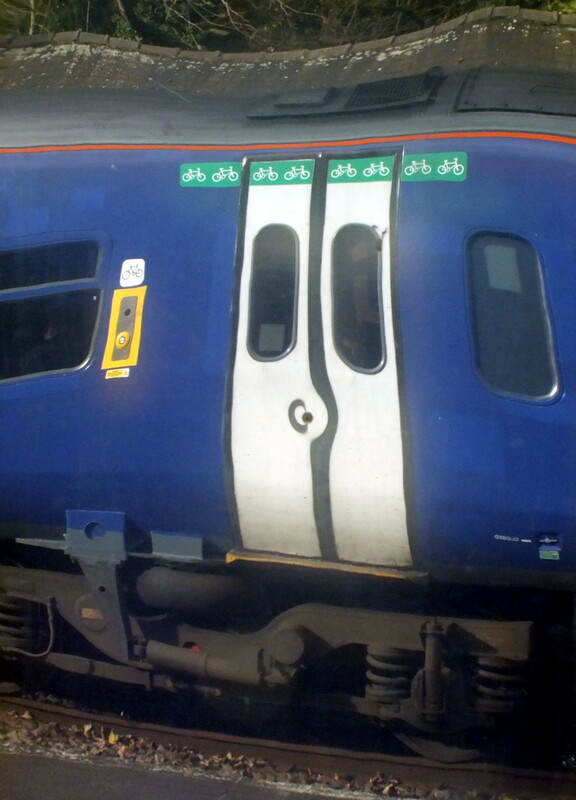 Nowadays our rail system is officially much better organised with a mere 28 companies receiving between them a meagre £4 billion in state subsidies though it is said that this may rise (or skyrocket as one opposition MP put it). But surely it is only right and proper for the latter-day successors of George Hudson that the costs inherent in owning a licence to print money from a natural monopoly should be placed firmly on the broad shoulders of the long suffering taxpayer. 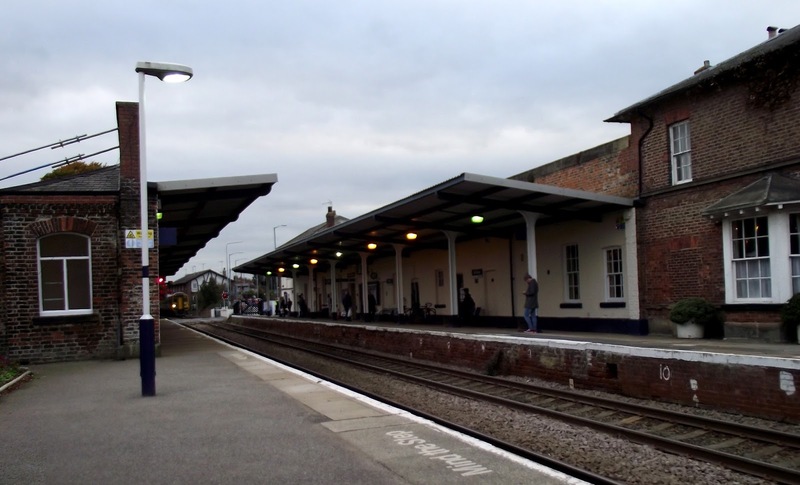 If you really want to know just about everything there is to know about Driffield station then follow this link. 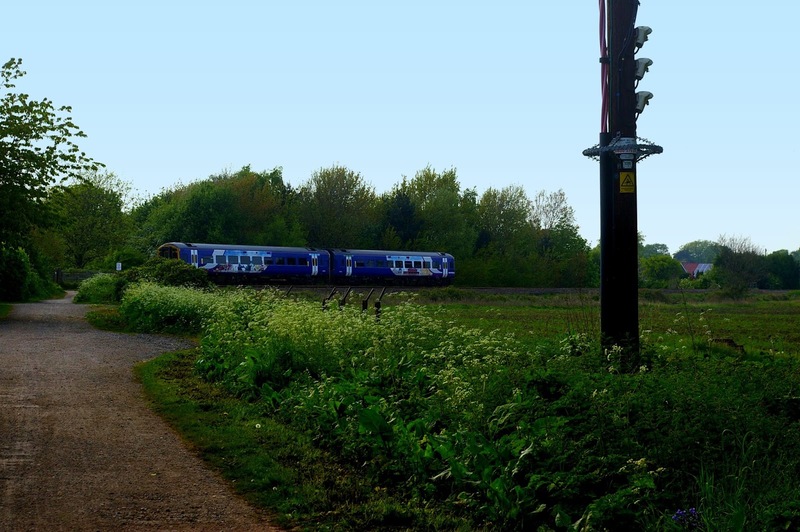 Just the other day I was on my way to Cottingham along Snuff Mill Lane when the Hull train sped past, knowing the trains around here there had to be one coming the other way so I waited and duly took the above picture. I guess the driver was a bit surprised to see anyone taking his photo at this point but better that than yet another suicide on the tracks. Yes unfortunately the crossing here has seen two deaths in recent years, the Samaritans even put up a notice which was, of course, stolen. Anyhow best not dwell on that. Being the conscientious type I googled the number of the train and found that there is a whole page, nay two, devoted to photos of this particular train, here. Ha! 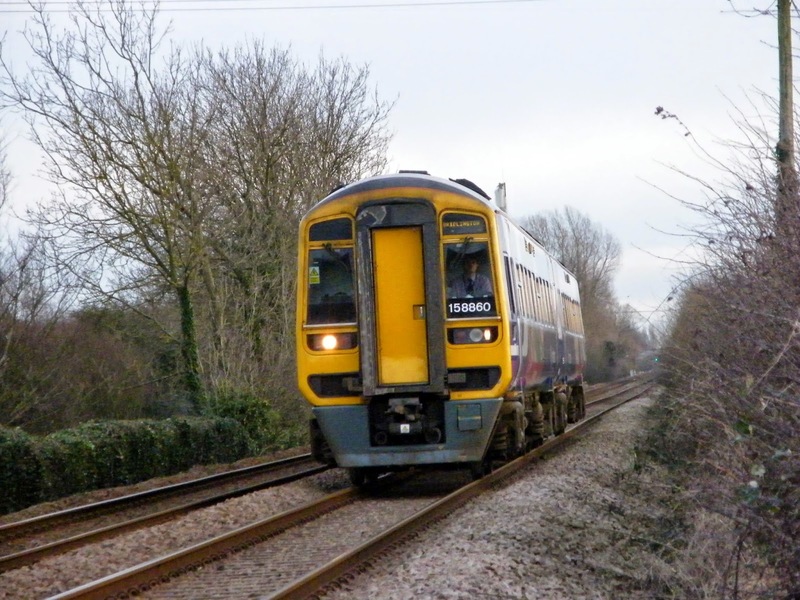 I thought who would want to take pics of the same train like that, train spotters …. that was until later in the evening going through some old pics I found this taken in 2010 at Bridlington station. I’ll fetch my anorak …. 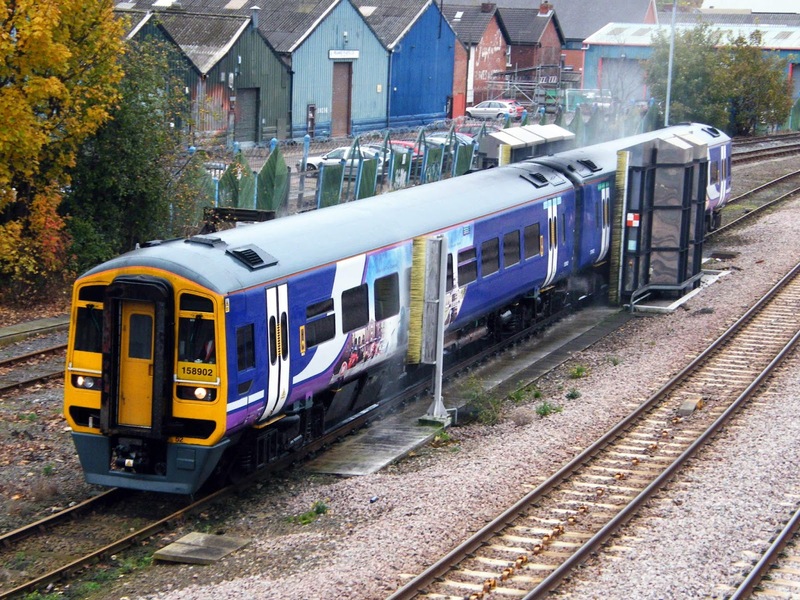 (1) I call it ‘local’ but Northern Rail is part of a vast conglomerate, owned by the multinational Serco and Abellio (the UK arm of the Dutch state railway), which operates transport services across Europe and elsewhere. Although I have heard Serco and Abellio have had a falling out.